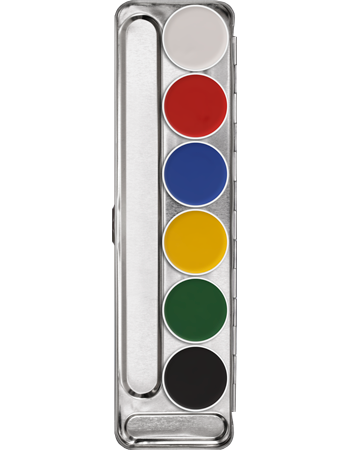 6-color Aquacolor palette in your primary colors. 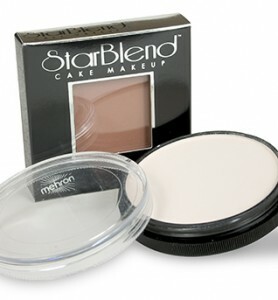 This is a wet-to-dry make-up that is vivid and easily blended. Clean up is no problem! Know that refills are available! SKU: 1107. 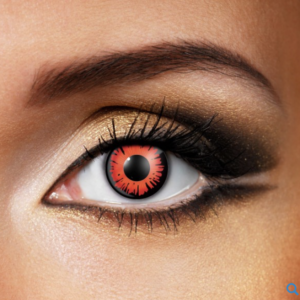 Categories: Makeup, Kryolan Make-up. Tags: 6 color, Aquacolor palette, primary. 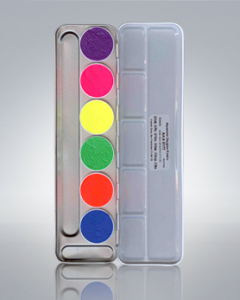 6-color Aquacolor palette; primary colors. 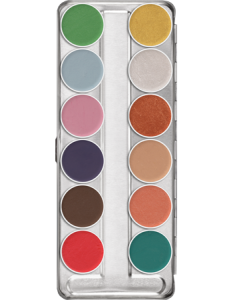 Be the first to review “Aquacolor face and body painting palette” Click here to cancel reply.